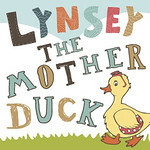 I am thrilled and delighted to announce that Lynsey The Mother Duck has been shortlisted as one of 'A New Generation' Top 10 Bloggers to Watch for 2013 in the Parenting Category. What makes it even better is that several of my blogging pals have also made the list. Well done Older Mum in a Muddle, Dorky Mum and Older, Single Mum.